Whether as an accessory to your wedding outfit, a prop for pictures, or as a pretty decor, this paper parasol serves many purpose. It’s no wonder these are a very common choice for weddings. Not only do they look attractive, but they are also very functional. For weddings planned to be taken place outdoors, the weather always has to be taken into account. For a perfect sunny summer day, this lightweight parasol is perfect for blocking direct sunlight on your skin, while also being perfectly fashionable to hold. It’s light pastel colors allows it to match the light airy feel of beautiful summer weddings and it is a great prop to use for photographs. Even when set down, it becomes part of the decoration or even as a lovely centerpiece. 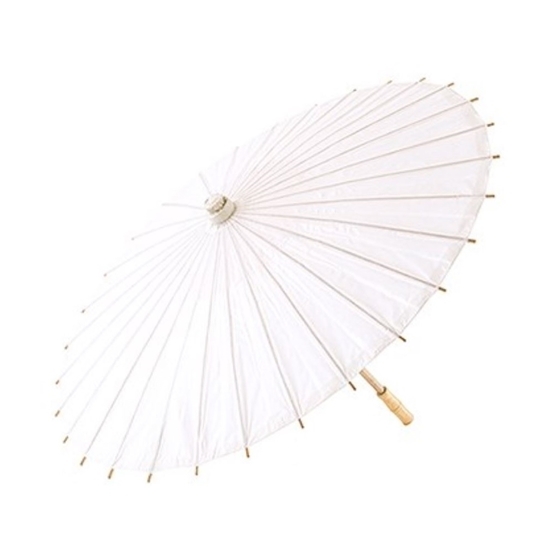 With so many functions, this paper parasol is a must have for weddings.